Indulge me for a minute while I set the scene. It was Sunday night. 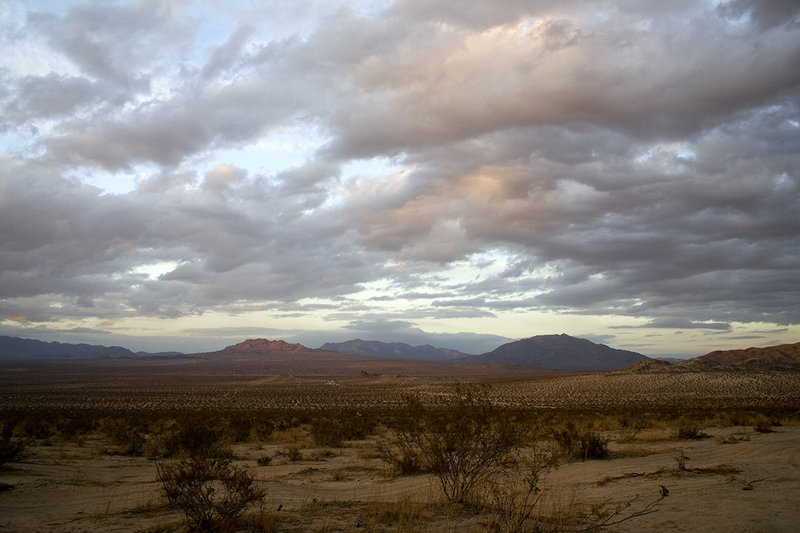 The desert had grown quiet and calm after the raging winds of the afternoon and early evening. The lights from the city, so far and incredibly close all at once, danced. Riley was on the floor, sleeping against the wall underneath the window that looks out onto the deck, and Kevin was yawning. It was about 10:15. We had watched the first episode of the second season of Cardinal, a Hulu series that we find mildly enjoyable without being too taxing. We were both tired and rather than even start the second episode, we decided it was time for bed. I got up from the couch and just then, I heard it. Fluttering, scratching. Paws or feet or claws tramping across the ceiling out toward the deck. The house creaked. Kevin stopped yawning. Riley immediately sat up and started to growl. Kevin shhhh’d me as we waited for it to happen again, which it did, louder and more insistent. If someone told me a pterodactyl was on the roof, I would have believed them. The desert is the land of many odd, majestic, scary, and prehistoric creatures. It’s not unusual to see Gila monsters and desert tortoises, snakes, lizards, and tarantulas. Last summer I watched a tarantula climb up the front stone of the house, but what was on the roof was either the biggest spider in history or something far more menacing. “Whatever it is had to have crawled, climbed or scaled up the side of the house,” I said. I don’t know if I was trying to be logical and find reason in what was happening or if I was just proffering some sort of explanation. Either way, the visual was not comforting. Kevin was on his feet, at the window, looking up and out. He went into his office and, grabbing a flashlight, started toward the front door. “You’re not going out there,” I said and asked all at once. “Not without shoes,” I said and he dutifully slipped on his flip flops to avoid any scorpions or centipedes that might be lurking in the portico. I bravely stood in the doorway with my hand on the door as he went out and flashed his light up toward the roofline. He moved along the house, illuminating the stucco and the scuppers. This went on for about five minutes, five minutes that seemed like an hour. He turned off the light and shrugged his shoulders. The light from inside the house and from above the garage doors bathed the driveway in an eerie light. An owl hooted from somewhere in the hill above, but the noise on the roof was gone. “Maybe a ring-tailed cat,” I suggested. “Maybe the osprey?” We have one osprey that appears occasionally, sitting atop a saguaro up above. The first time I saw it, I was convinced it was an eagle. But the markings were different, and when it finally took flight, the wing span rivaled a small commuter plane. He came in the house and we both took Riley out to pee, just in case there was something lurking on the side of the house. Strength in numbers and all that. When we brought the dog back in, who happily trotted toward the bedroom, Kevin stopped, listening again. Silence. That’s our current theory for last night’s roof disruption. I’m just hoping for the Michael Keaton version.